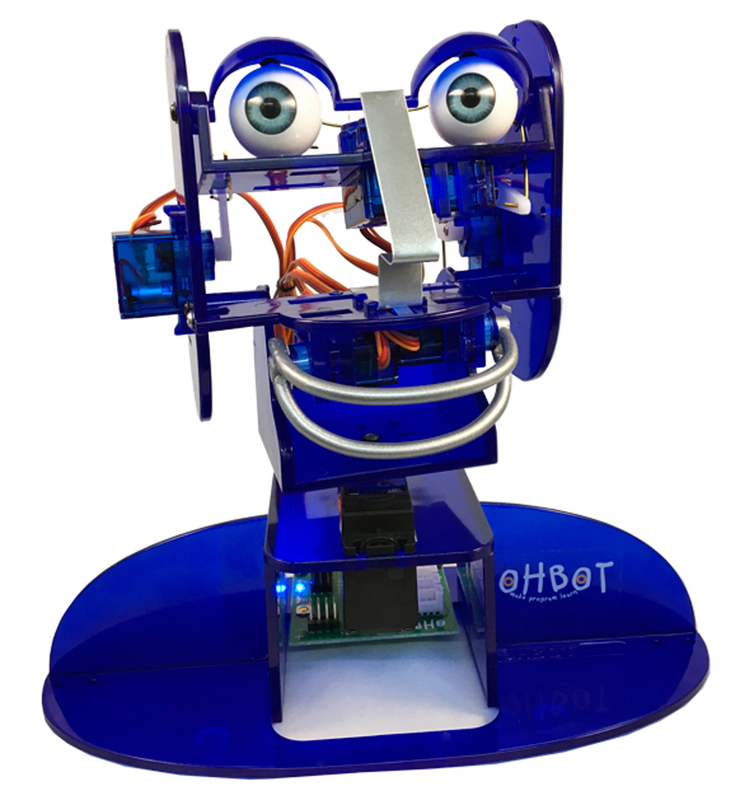 We want Ohbot, a programmable robot head, so that we can learn to create robot systems that change the way the world works! Ohbot has seven motors so it can look around, smile, frown and blink. And it speaks with different voices and can sense a little like we do, seeing faces and hearing sounds. Ohbot’s behaviour must be programmed. Using either Scratch block instructions on a Windows PC or in text using Python (Pi Mac or Windows) students develop programs to bring Ohbot to life; making it perform a poem, provide information about historic artefacts, poll children about school dinners, act in a play, be the class clock, teach or (beware the robot revolution!) replace your headteacher. Ohbot is the winner of 2018 Education Resources Award for Primary Resource including ICT. For more information, visit the Ohbot website here. We want to understand how digital devices work and how they can be programmed to control real world machines. Using Ohbot we can learn how a robot system works, exploring how a robot can be made to see, hear and sense; think using a program; and act using movement and sound. We can script programs to make Ohbot take on real world tasks. Learning makes much more sense when it is in the context of making Ohbot perform your rhymes in front of the whole school for example! This makes our programming purposeful and meaningful. Ohbot provides a context for developing computational thinking skills. These are the skills needed to write computer programs and include: decomposition, pattern recognition, abstraction and algorithm development. If we're fortunate enough to raise more than our target, then we would also like to buy... e.g. more Ohbots with Gloweyes.